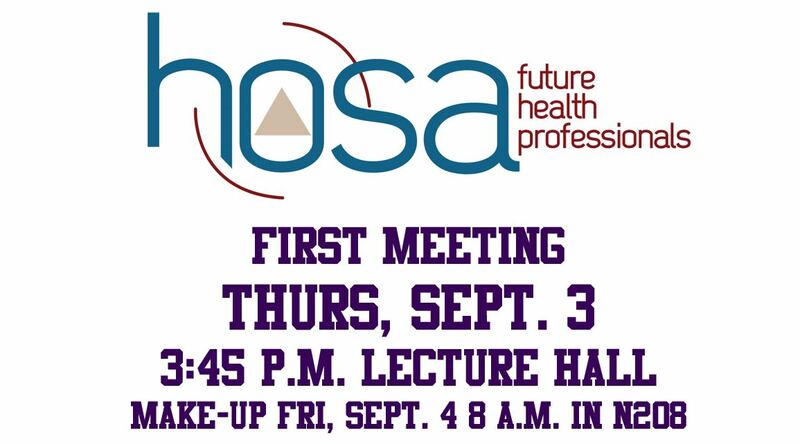 Health Occupation Students of America or HOSA will host their first meeting on Thursday, Sept. 3. The first meeting will be held at 3:45 p.m. in the lecture hall. The make-up meeting will be held Friday, Sept. 4 at 8:00 a.m. in room N208. This club is beneficial to students who are interested in a medical profession. In order to join HOSA attend their first meeting. There you will receive a membership form that needs to be completed by Friday, Sept. 25 and pay a fee of $35.00. When becoming a part of the HOSA club students can take place in blood drives, listen to guest speakers, community service and compete with fellow classmates in the Keller ISD district. HOSA advisor Jennifer Reeder can be contacted at jennifer.reeder@kellerisd.net.